Methodists, who had met since 1914 in the Burberry Hall in St Mark's Road, recognised the need for a church to meet the demand growing from housing developments in the Pinkneys Green area and, in 1934, purchased the land on which the church stands. The Opening and Dedication of the Church took place on 21st November 1953 and each year we celebrate the occasion with an Anniversary Service on the Sunday nearest to that date. In 1953 the Church was the only building on the site and the addition of a School Hall was made in 1956. 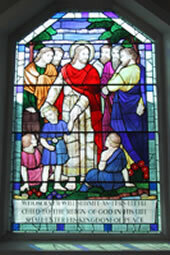 The stained glass window in the chancel was placed in 1961, with an extension, linking Church and Hall in 1979. In the early 90's we launched a highly successful fund raising campaign entitled 'Faithlift 2000'. As a result of the campaign extensive improvements to the property and grounds took place in 1992 and internal alterations and improvements were made to the Main Hall in 1998. Replacement of the central heating system in 2005/6 has ensured that we maintain a "warm" welcome to all of our visitors throughout the year. Since 1953, 13 ministers have overseen the pastoral needs of our community and we look forward to welcoming our 14th, Revd Carmel Ieraci, in September 2019. 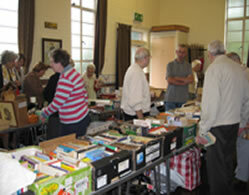 St Mark's continues to develop as a place of worship and fellowship for the surrounding community. 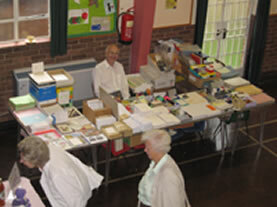 Our premises are in regular and continuous use by many local groups and organisations. The launch of a Lunch Club in April 2013 by Age Concern Slough and Berkshire East has enhanced links with the community and fund raising for a variety of good causes continues through monthly coffee mornings, Christmas Bazaars, Spring Fairs and other events, such as pantomimes and concerts. In 2014 St Mark's launched its exciting 2020 Vision development plan. For those interested in further details, "A History of the Church Buildings and some of the Church Activities" is available from church stewards. "Be still and know that I am God. "